Feminist: a woman, usually ill-favoured... in whom the film-making instinct has displaced the maternal. If there were any of Australia's original inhabitants living in Melbourne they were kept well out of the way of nice people; unless, of course, they could sing. The only people really keeping the spirit of irony alive in Australia are taxi-drivers and homosexuals. My work is really addressed to a provincial English audience, and whether we like it or not, and whatever American affectations we may entertain here in Australia, we are really provincial English society. Our humour touches the same nerve. The difficulty about a theatre job is that it interferes with party-going. Although there were many who did the dirty on him in the envious world of letters, Stephen never let any of them live rent-free in his brain. Tell me the history of that frock, Judy. It's obviously an old favourite. You were wise to remove the curtain rings. There is, perhaps, no more dangerous man in the world than the man with the sensibilities of an artist but without creative talent. With luck such men make wonderful theatrical impresarios and interior decorators, or else they become mass murderers or critics. With a bucket full of prawns upon me knee. And I chundered in the old Pacific sea. 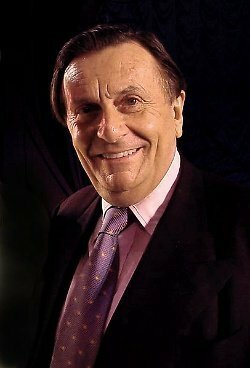 Bio: John Barry Humphries is an Australian comedian, actor, satirist, artist, and author. Humphries is best known for writing and playing his on-stage and television alter egos Dame Edna Everage and Sir Les Patterson.